I'm sure if you took a break, your captains and generals will keep on recruiting with proper permission and access. Underdogs been around for years and many years to come! Let's build this army! 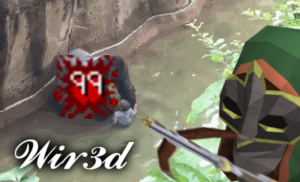 Denied for killing revenants in rune with a d scimmy. No. You should show loyalty to your cc. To your job too ofc, but if you really want to compare it to jobs it'd be like having a russian-american nationality and enlisting in both armies rofl. Picking a cc is far from the same as applying for a job. The fact that you consider it as such is worrisome. Do you have any experience pking? : Yes, moderate as I've been slacking recently but I have done pking on pkh and osrs. Do you have any experience bridding/warring/...: Bridding and dh/welf pking, not much warring actually. Did anyone recommend you to join this clan(If so his or her name): No one really, though Will Be Ok is probably the one who I know that is in Underdogs as well. 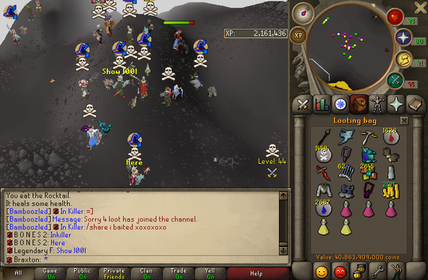 Why do you want to join: Want to pk, but want to pk for a clan that actually isn't toxic. Plus The Underdog is a cool dude from my past experiences with him. Timezone or country: CST, USA. Previous clan: The Vendetta, Business, GG LSP, PvM Gainz. So mostly all the pvm clans lol. (Willing to) Discord/whatsapp: I have discord that I don't mind using, don't have whatsapp though.